I didn’t get to spend very much time in the shop today, but the half hour I did spend on the project was a good half hour. 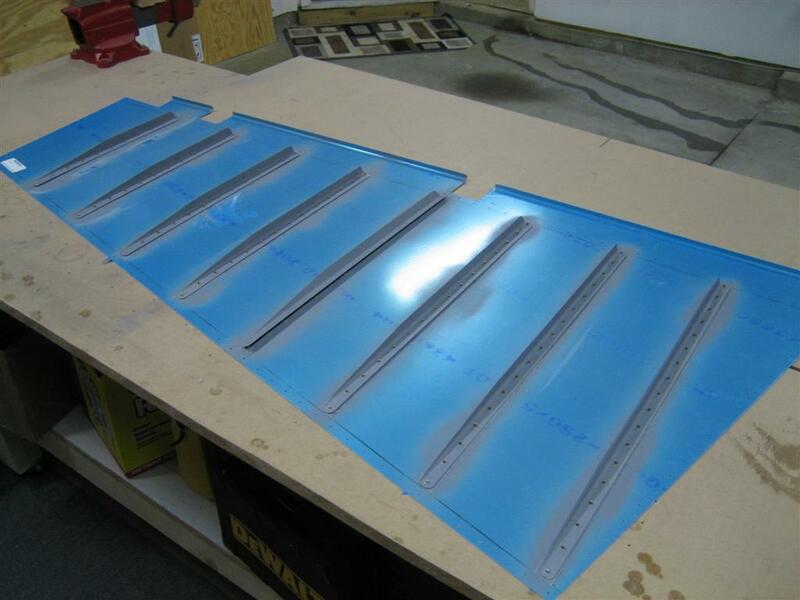 I grabbed the stiffeners that I had primed on Friday night and laid (layed?) them on the left rudder skin. 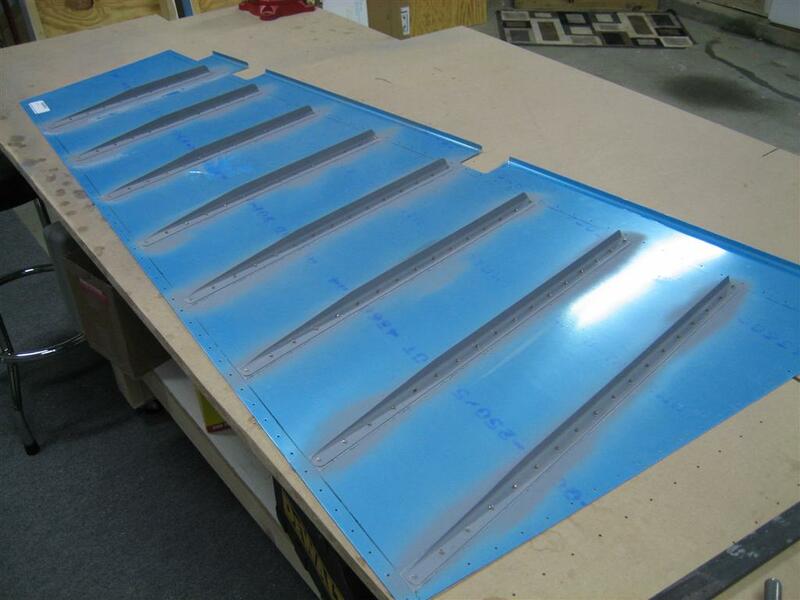 Primed stiffeners, ready to be backriveted. Sorry about the lack of pictures. 116 backriveted flush rivets set. This entry was posted on Saturday, February 27th, 2010 at 12:00 pm and is filed under Empennage. You can follow any responses to this entry through the RSS 2.0 feed. You can leave a response, or trackback from your own site.